Our Pharma and Biotech clients have gained greater visibility into their projects, and they are seeing how the Planet-integrated work management model outperforms traditional enterprise project management applications. This past year, DataForm Software migrated its flagship cloud-based product Planet Life Cycle to Microsoft Azure and has been recognized by CIO Magazine as a leader in corporate finance technology. 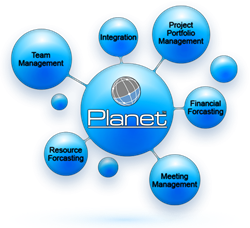 Planet is widely used by Pharma and Biotech organizations in the compound development business space because the cloud-based application is a team-centric enterprise work management system that merges strategic and financial planning with execution. DataForm Software (https://dataformsoftware.com/about-us/ ) is recognized by experts in the field as a technology leader in the development and delivery of robust work management solutions for enterprises of all sizes to transform and accelerate their businesses. Highly connectable and configurable, the solution is leveraged to plan, track and execute work — with data integrity — across teams and functions. Customers build customized systems that integrate third-party APIs (Application Programming Interfaces) using DataForm Software’s ROI (Return On Investment) driven productivity tools. The result ensures high-performance teams can leverage 100 percent of financial and human capital. Built on Azure, DataForm Software solutions protect enterprise IP, accelerate scalability and sustain increases in global competitiveness.